It was always natural for Laurent-Perrier, creator of the benchmark Cuvée Rosé non-vintage champagne, to eventually offer a prestige Cuvée Rosé. 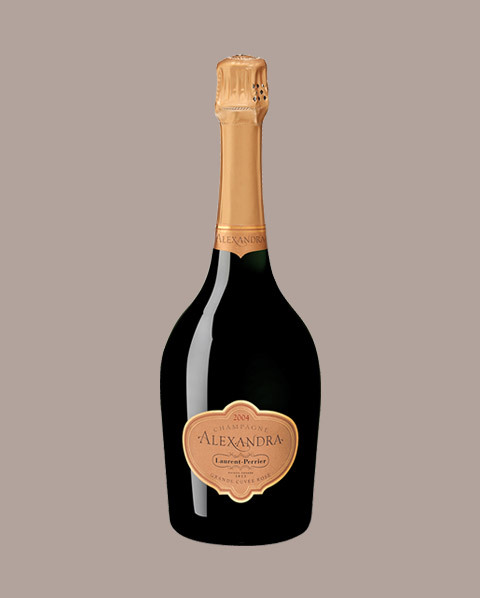 Alexandra Rosé is a rare and cherished wine that comes from a rigorous selection of the best plots; an exceptional marriage between Grands Crus grapes of Pinot Noir and Chardonnay. The year 2004: despite periods of hail and storms during the spring and summer, September’s beneficial warm and dry weather saw an abundant, well-matured harvest of Chardonnay and Pinot Noir grapes (the former being more heterogenous).